Every year our neighborhood has an Easter Egg Hunt, complete with breakfast and a visit from the Bunny himself. 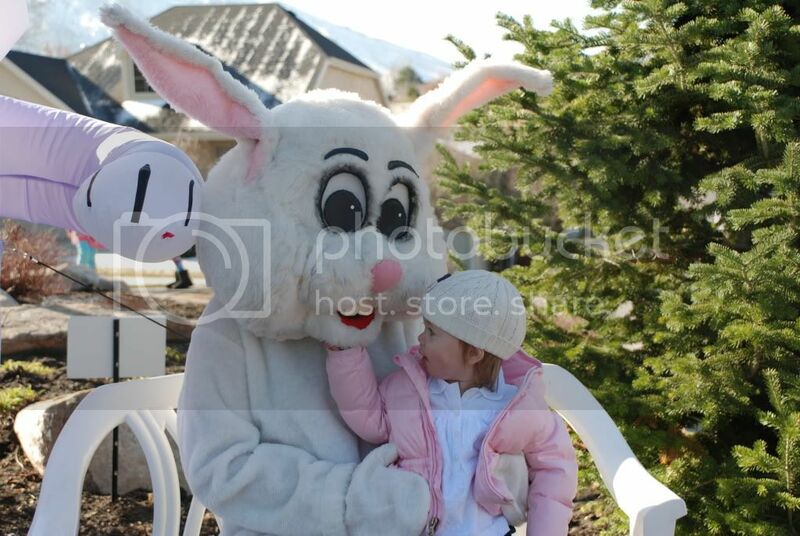 Ella loved it, especially the Bunny. And, yes, I did let her eat the candy. So cute! Happy Easter, little girl! 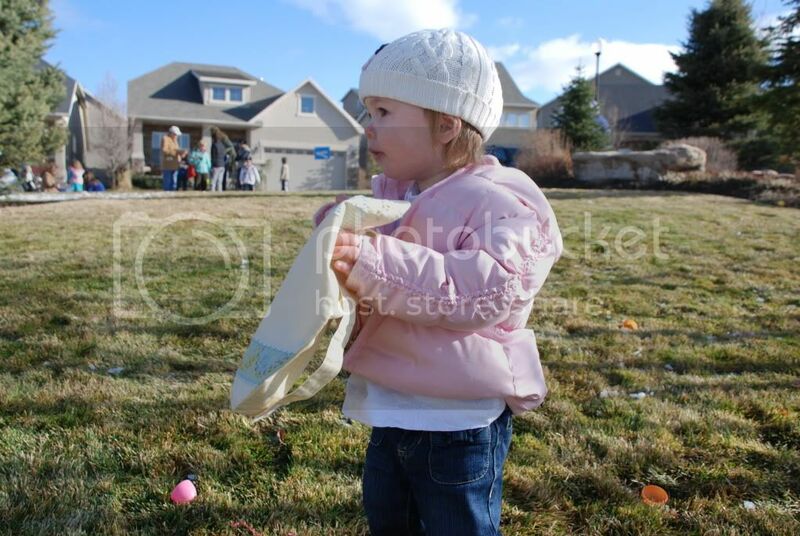 Is that an Easter egg bag she is holding? Very cute!